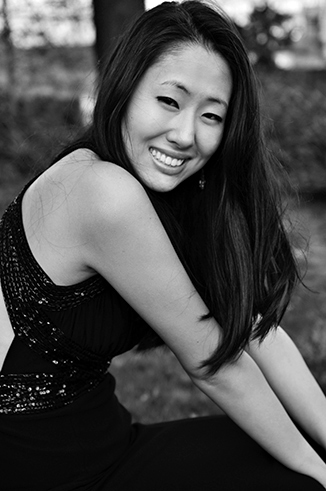 Borah, a Korean-American pianist and music educator, has performed in recitals and masterclasses in Italy, Spain, Korea, and the United States at venues such as Carnegie Hall, Symphony Space, Wharton Center, and Skirball Center. In 2009, she appeared as a soloist with Michigan State University Philharmonic Orchestra. In addition to performing, she was appointed as an Adjunct Faculty at New York University to teach group keyboard classes and private piano lessons. Among many freelance projects, she also served as a staff pianist at Interlochen Arts Camp and at NYU (conducting, violin, cello, double bass, and brass classes). She received a Bachelor’s degree in Piano Performance with honors from MSU and a Master’s degree in Collaborative Piano with honors from NYU where she privately studied with Anne-Marie McDermott, Grant Wenaus, and Jose Ramon Mendez. Borah currently resides in Brooklyn teaching and collaborating with instrumentalists, vocalists (NYU Steinhardt and Tisch schools), dancers, and composers. She is currently a pianist in Echo Chamber, a contemporary music septet who commissions and performs works with an eye towards cross-media collaborations. Having studied under renown pianists and passionate pedagogues for over two decades combined with years of collaborative experience, I take pride in passing on my knowledge with thoughtful care and dedication, catering to the individual learning needs as I see fit. I guide my students to think beyond individual notes and see the patterns and arc of the music in whole with emphasis on focus and mindfulness. I often tells my students there’s no need to practice for an hour if they can figure out how to accomplish the same amount of work in ten minutes. I enjoy aiding my students to realize their expressive talent and abilities through the instrument.